already and it will soon be 'Fall' before we know it! 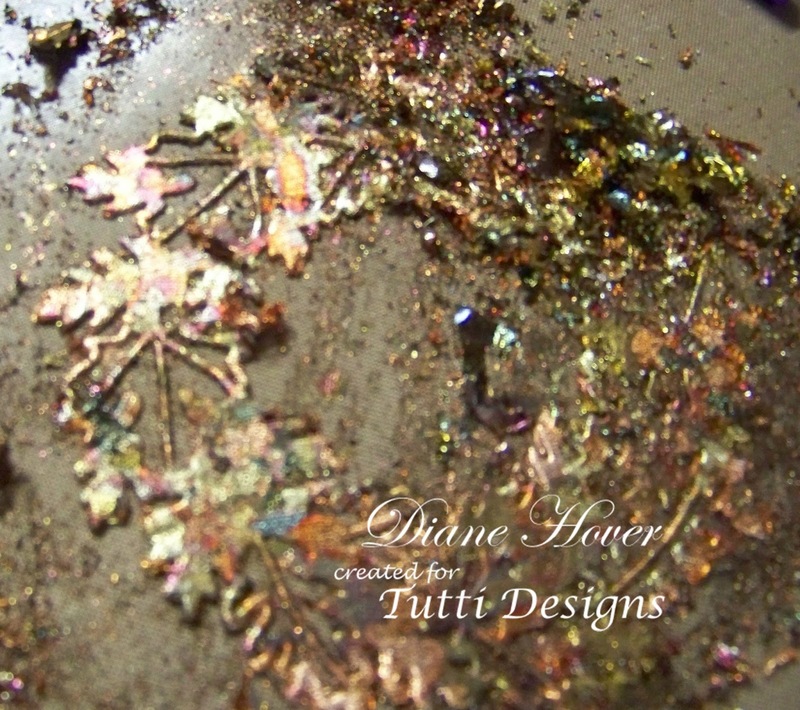 I die cut my leafy wreath then used Gilding Flakes to coat it. Let me give a small tutorial of how I did it. 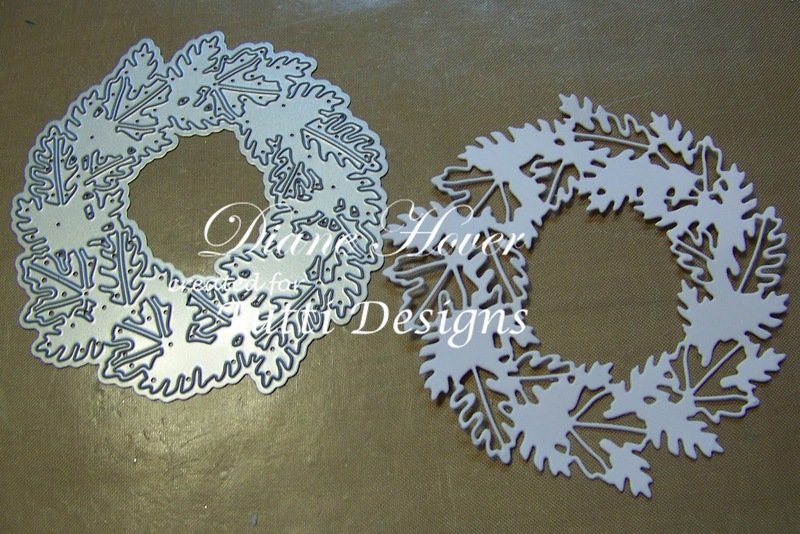 First die cut your leafy wreath die. Then coat your entire wreath with glue. 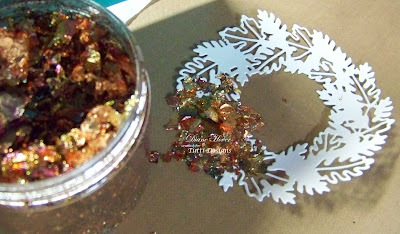 I used Cosmic shimmer Flake & Glitter Glue. this allows the glue to get real sticky. making sure to cover the entire glued surface. 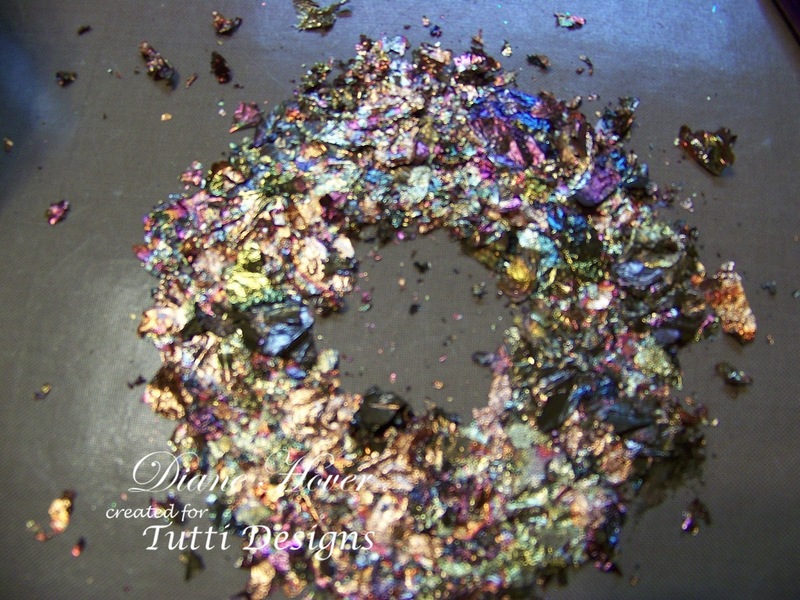 I used Cosmic Shimmer Gilding Flakes . Be very generous and cover it well! You can put the flakes back in the jar for another use later. Once all the flakes are off, I use my fingers to 'shine' the flakes up a bit. A 'Tip' is to spray your finished gilded project with a clear spray. I use a very inexpensive aerosol hair spray for mine. that I then punched with a circle punch. 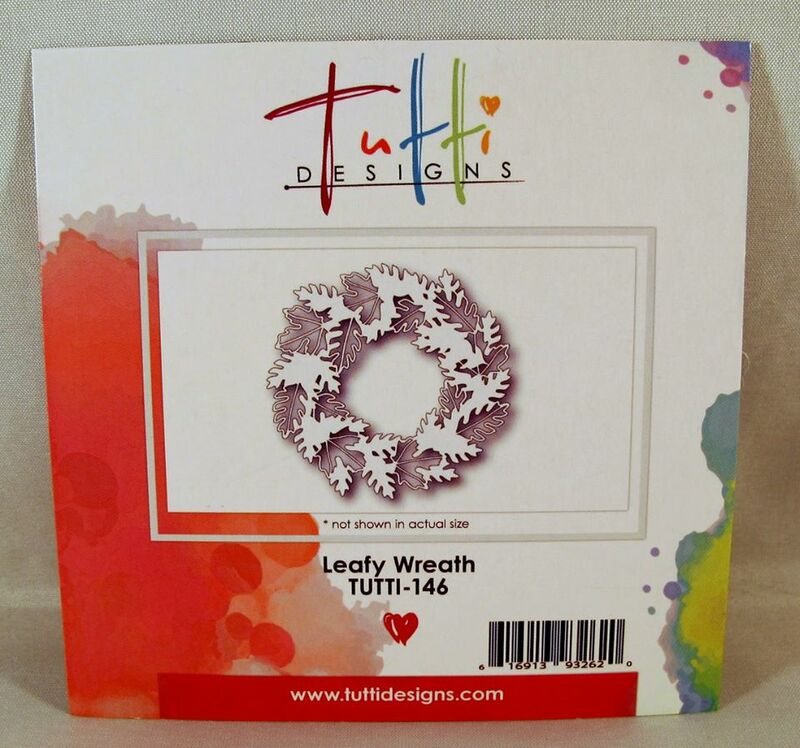 What a beautiful way to showcase this wreath! Gorgeous creation! Beautiful card using the wreath Diane! love the gilding flakes. 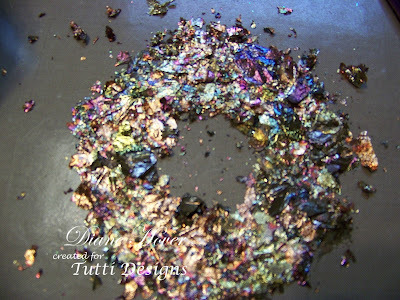 Just beautiful and learned a lot about the gilding flakes. I will have to try this. A very beautiful way to use gliding flakes to highlight a gorgeous die. I am curious about your tip to use a sealer at the finish. May I ask the reasoning? Thank you for taking the time to reply. I just like the finished look and then it is pretty much guaranteed to stay in place (just in case MY glue is missed in a few places, that is all ) but not necessary if YOU don't want to seal it...my preference only..LOL!! Thank you for your nice comments Linda S.!